Citricidal Plus by NutriBiotic is great for adults to take. I did not like the GSE liquid drops, but great for digestive issue!!! I take Citricidal Plus by NutriBiotic when I feel like I am run down to help build up my immune system or to shorten duration of an illness. 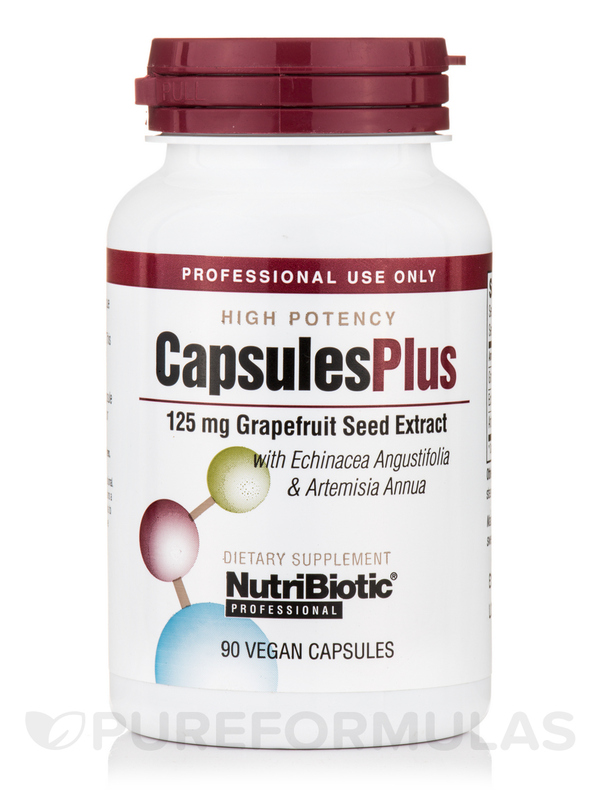 Get broad-spectrum antimicrobial effects with Citricidal® Plus Vegan Capsules from NutriBiotic®. This unique formula features certified-organic grapefruit extracts‚ echinacea and chinese wormwood to offer fungicidal‚ antiviral‚ and anti-bacterial benefits. 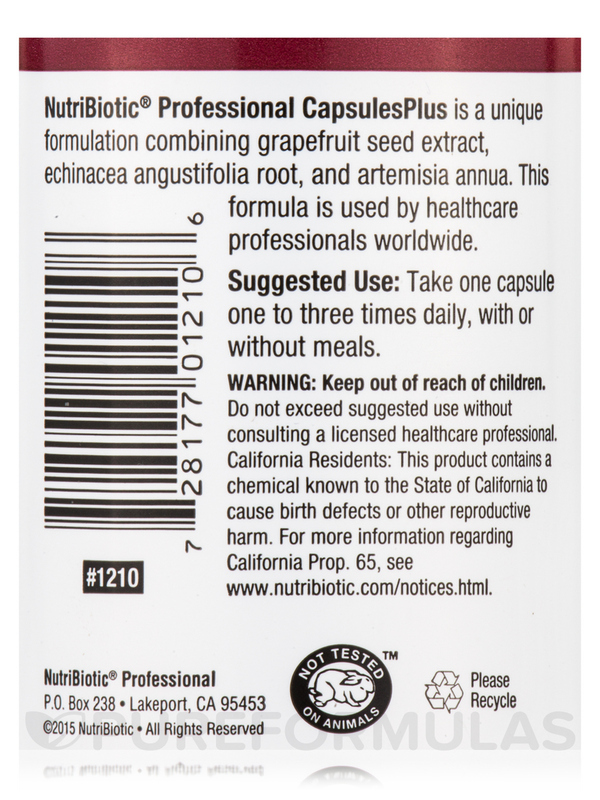 This standardized extract of grapefruit from NutriBiotic® may exhibit antimicrobial properties that could inhibit the growth and spread of detrimental parasites. It has been found to be effective even when the source of infection is unidentified‚ or wrongly diagnosed. Grapefruit seems to be an antioxidants‚ that may help neutralize free radical oxidative damage. 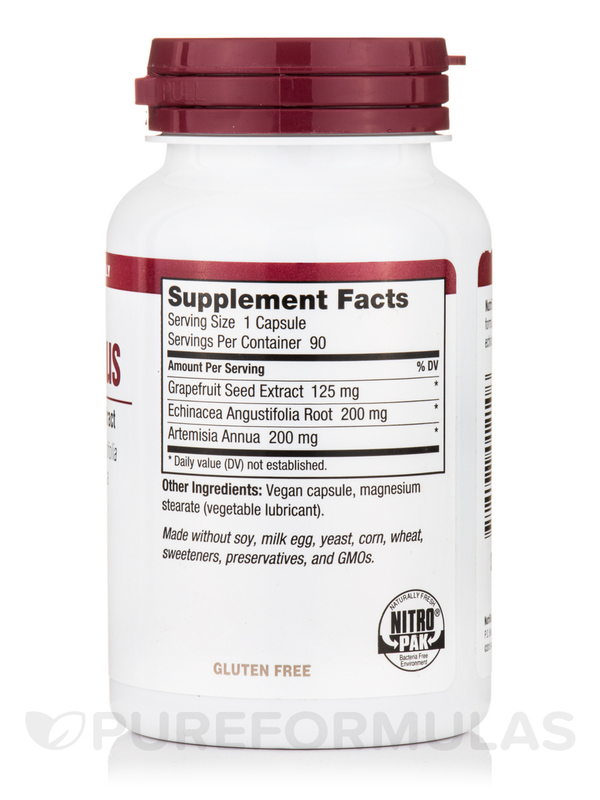 Added echinacea angustifolia root extract could boost immune system response and help the body fight challenges from various infections. Artemisia annua works positively on most fevers‚ even some critical ones‚ it may also contribute to the growth and spread of anomalous cells. 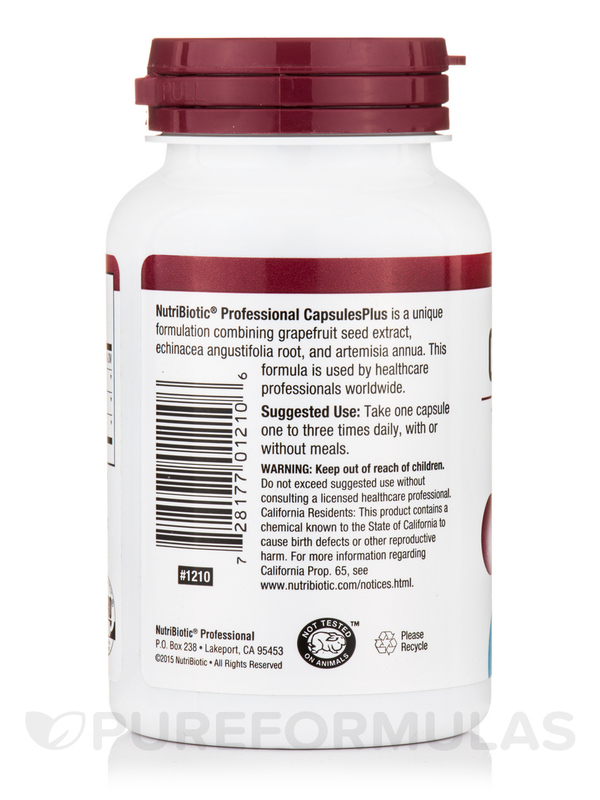 When you take Citricidal® Plus Vegan Capsules from NutriBiotic®‚ you may improve a host of health conditions. 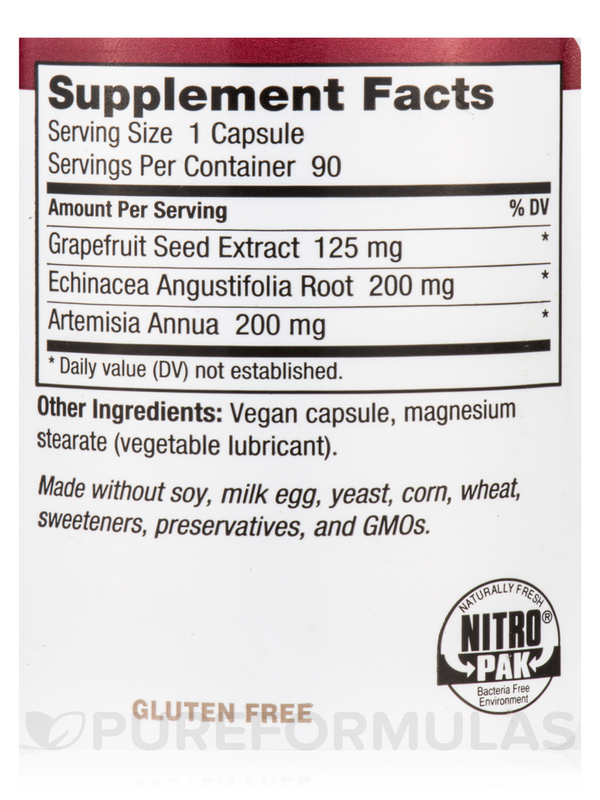 Other Ingredients: Vegan capsule‚ magnesium stearate (vegetable lubricant). Made without soy‚ gluten‚ milk‚ egg‚ yeast‚ corn‚ wheat‚ sweeteners‚ preservatives‚ and GMOs. Take one capsule one to three times daily‚ with or without meals. Good to keep in college first aid kit! I was using Citricidal Plus by NutriBiotic and ran out, so I searched this item and found citricidal plus in capsule form and thought I'd give it a try. So far so good! A Medical Doctor who is a practicing Homeopath suggested I try Citricidal Plus several years ago (1 cap) along with (2) Kroeger Wormwood 100 mg caps. Take the whole bottle until its gone once per year. He told me that he had PA Amish patients who traveled from Lancaster to see him in order to get Citricidal Plus. It really kills all of the parasites that you have accumulated from various pesticides (esp. strawberries and blueberries that are not organic) uncooked meat chicken fish and environmental parasites that you ingest unknowingly. Citricidal Plus is a great product available form Pureformulas.com for half the price of my Doctor! Try it once per year the difference is noticeable. No dislikes. Of course if you have a reaction to taking this supplement cease taking immediately. Citricidal Plus is such a good product for the body.